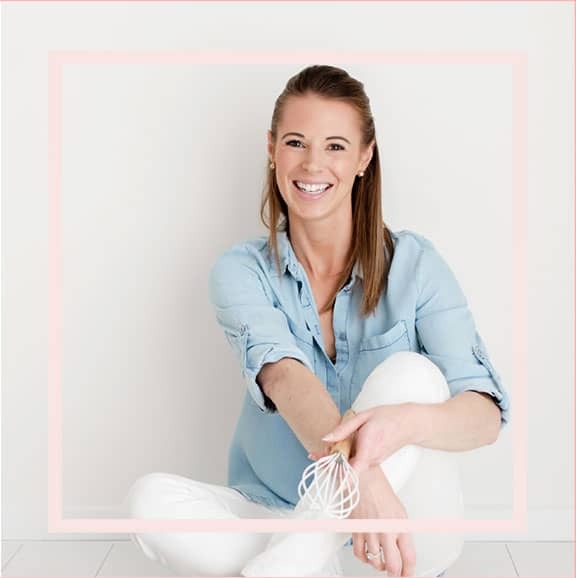 Back when I was a full-time primary school teacher, I used to love checking out all of the really clever foodie gifts that Mums and Dads would make for our end of year class parties. 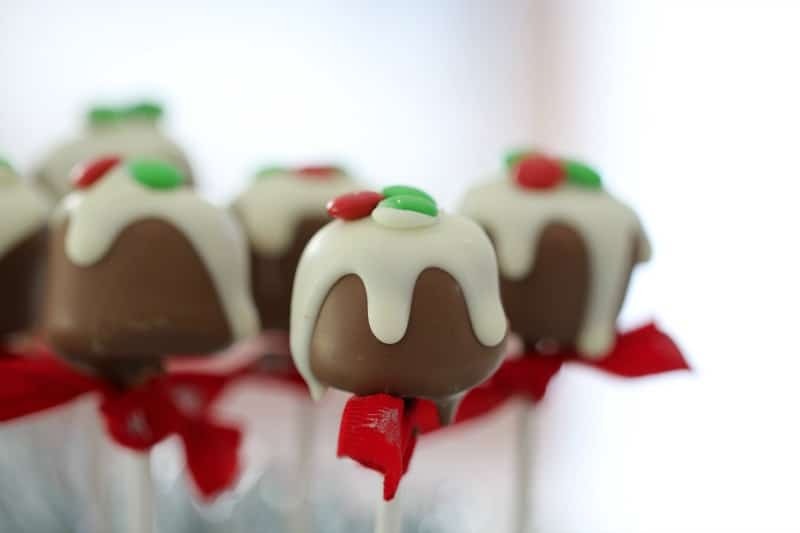 These Christmas Marshmallow Pops really stuck with me – partly because I remember the kids in my class absolutely loving them and partly because they tasted so good! Nowadays everyone is so busy ALL THE TIME! But I think that’s particularly true in the lead up to Christmas. Nobody has a spare second… let alone a good hour! And so, this year I’m trying to make yummy Christmas gifts that are seriously quick and easy. 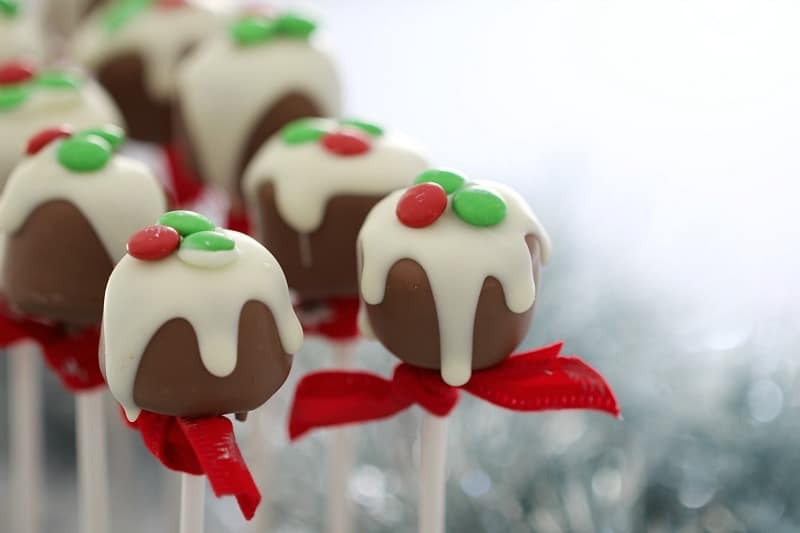 These 3 ingredient Christmas Pudding Marshmallow Pops really are such a great idea. 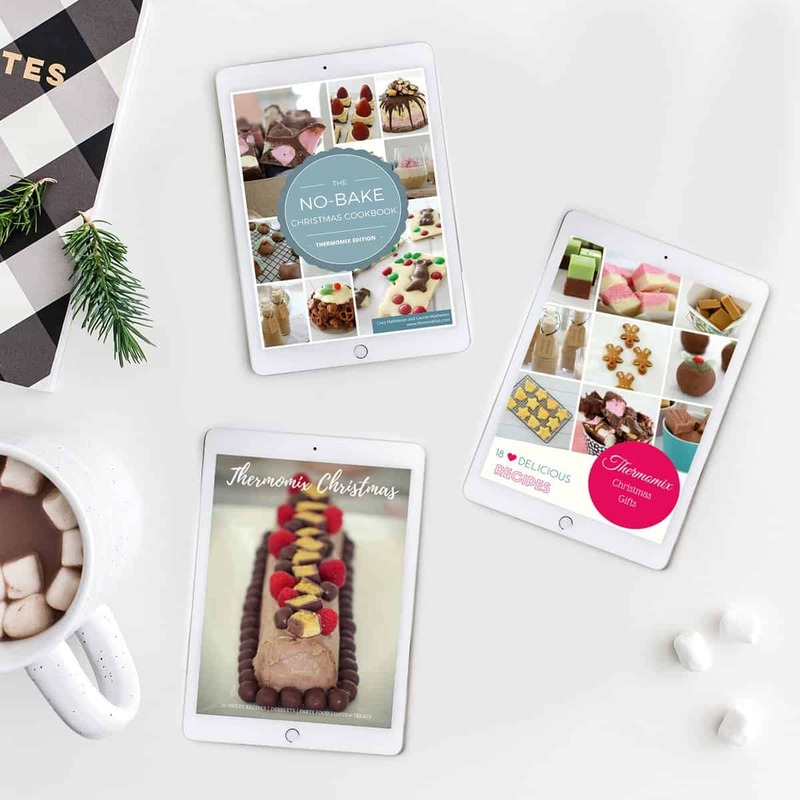 I love the idea of giving a little foodie gift to friends and family at Christmas time – and these are just perfect. To make these Chrissy Pudding Pops, all you’ll need are some marshmallows, chocolate melts and mini M&Ms (they’re the ones that you buy in the tube!). Ooh actually a little tip is that close to Christmas you can usually buy the mini M&Ms in a Christmas tube so they’ll all be green and red. But if you’re like me and make these at the start of November (I know… crazy woman, right! ), then you’ll just need to buy a standard mini M&M tube, pick out the red and green ones… and eat the rest. See, it’s actually not that much of an issue in the end, is it! 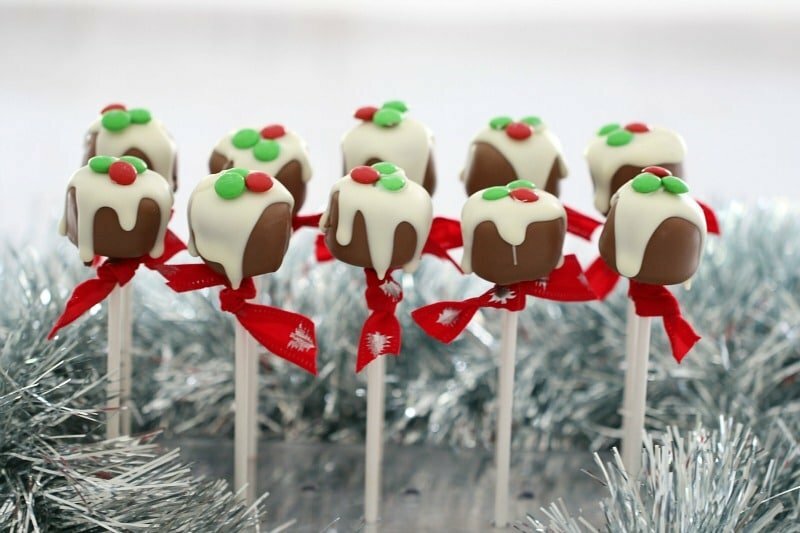 If you have a cake pop stand, then that is going to be a HUGE help when making these pops. But if you don’t, a piece of florists foam will do the trick too (you can buy it from any florist or craft store for about $2 a brick… bargain!). 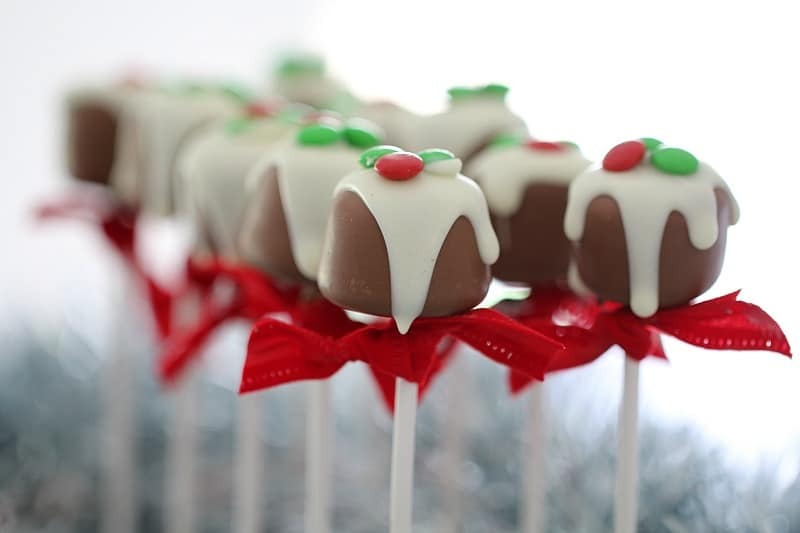 You’ll also need some cake pop sticks – which you can pick up super cheap at any $2 store or supermarket. When you’re melting your chocolate, try and use a small, deep ramekin or bowl. This will make it much easier to dip the marshmallows in. 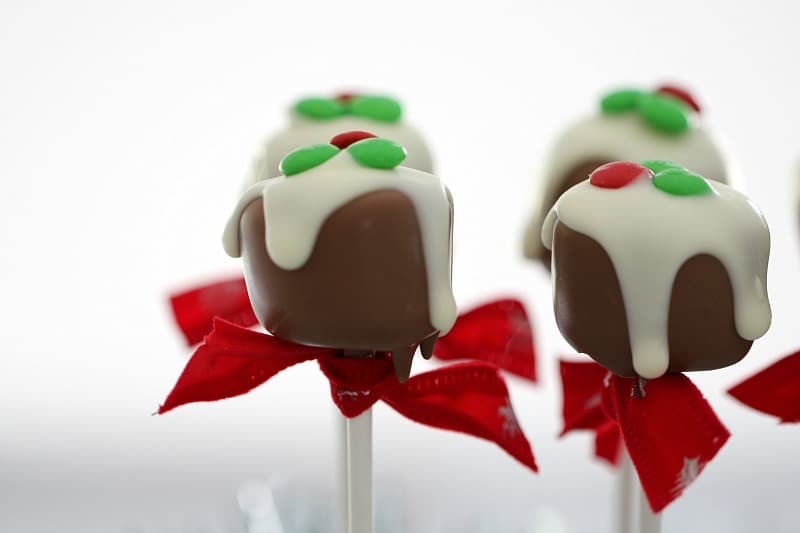 From start to finish, these Christmas Marshmallow Pops will take about 15 minutes… depending on how quick you are. Not too bad at all… right! You can also easily double or triple the recipe if you like. If you’re planning on giving these away as a gift, simply wrap them in a little bit of cellophane and tie with a ribbon… easy peasy and cute as! The perfect gift for family or friends (or even a class party!)... 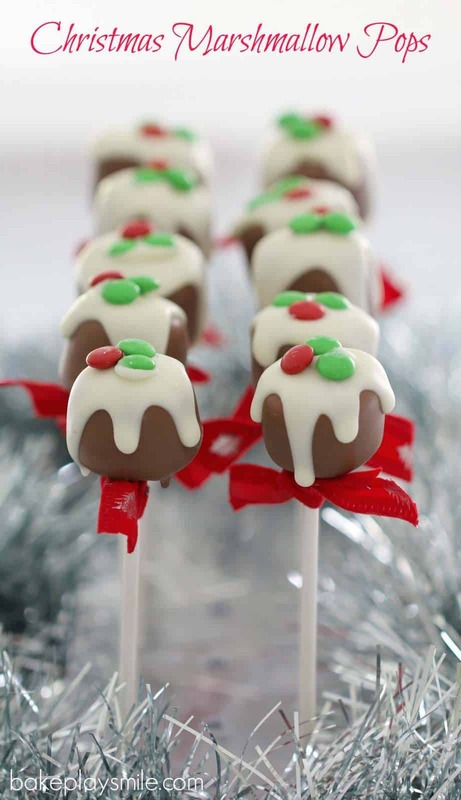 these 3 ingredient Christmas Marshmallow Pops look just like a mini Christmas Pudding and are a great way to get the kids into the kitchen! Place one marshmallow onto the top of a cake pop stick. Repeat with the remaining marshmallows. Melt the milk chocolate in the microwave on 50% power for 2-3 minutes, stirring every 30 seconds until just melted (if using a Thermomix, melt on 60 degrees, Speed, 2, 3 minutes - scrape down the sides halfway through). 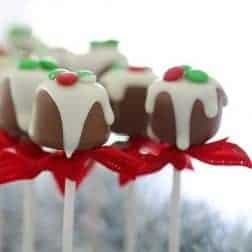 Dip each stick into the melted chocolate, allow any excess to drip off and then place into a cake pop holder (or a piece of florists foam). Allow the milk chocolate to set (it will only take a couple of minutes). Meanwhile, melt and white chocolate in the microwave on 50% power for 2 minutes, stirring every 30 seconds until just melted (if using a Thermomix, melt on 60 degrees, Speed, 2, 2 minutes - scrape down the sides halfway through). Using a teaspoon, place a dollop of white chocolate onto the top of each marshmallow and use your spoon to push some of the chocolate over the edge (to resemble dripping). Working quickly, place 2 green mini M&Ms and 1 red mini M&M onto the white chocolate (if your chocolate has already set, simply add a tiny bit of melted chocolate to the bottom of the M&Ms and 'glue' them on). Tie a ribbon around the base of each marshmallow. 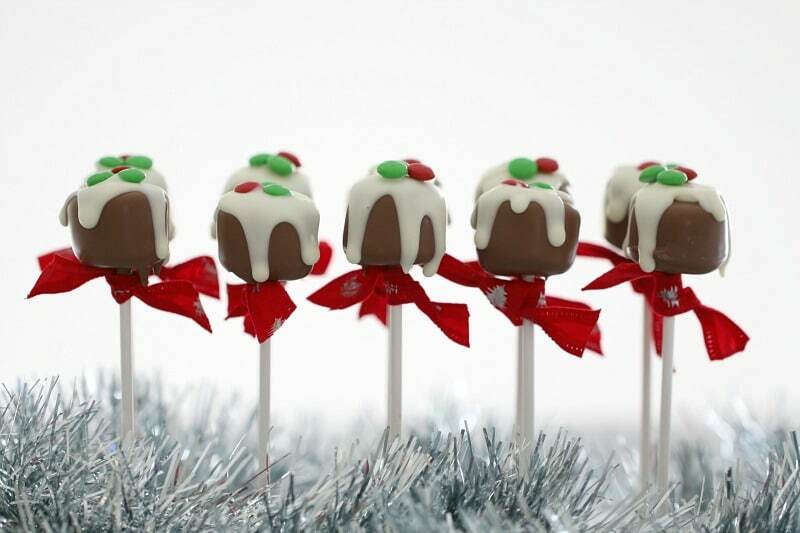 If giving these marshmallow pops as a present, simply wrap in cellophane and tie with ribbon. Oh these are just too cute and you are right, they are a great homemade gift! Oh thank you! Definitely a few days!